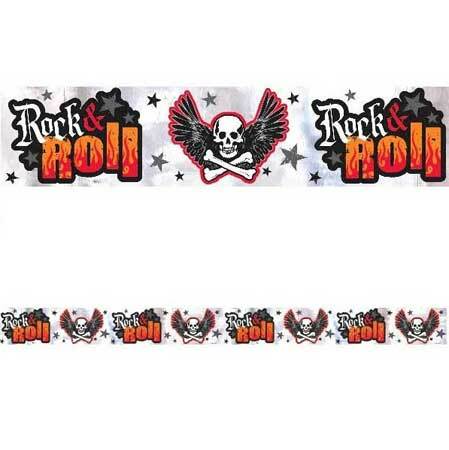 Rock On Foil Banner – A great decoration piece for a party, this foil banner will get everyone in the mood to rock out and have a good time! With its rock and roll featured theme this would be the perfect decor piece for any music related event. 25 feet long.